Drawn from the Gospel and influenced by two great spiritual masters, Jeanne’s spirit of littleness is a unique gift of the Holy Spirit for the Church. 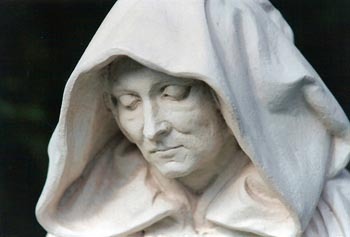 Through the religious community he founded, St. John of God communicated to Jeanne Jugan the living spirit of charity which animated her work and which inspired our fourth vow of hospitality. For Jeanne, as for John of God, the poor were the suffering members of the Body of Christ. Hospitality was a means of reaching out to them with the mercy and compassionate love of God. The Brothers of St. John of God also taught Jeanne the art of begging for the poor. At the heart of this seemingly humiliating activity was a prophetic vision of human solidarity. 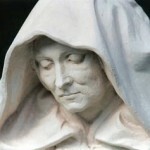 St. John of God inspired the people of his day by saying, “Do good to yourselves, brothers, give to the poor!” Jeanne shared this conviction, sure that God had confided each person to the love of all. Jeanne’s devotion to St. Joseph was an extension of her trusting abandonment to God. In him she found a father in the likeness of our heavenly Father, whose Providence watches over the little ones. She turned to him to obtain bread for the poor and chose him as Protector of our Congregation.